COSASE Summons Kasekende And Bagyenda Over Sources Of Their Richies. Last year Odonga Otto, the Aruu County MP tabled documents showing that Kasekende and Bagyenda owned a number of properties. 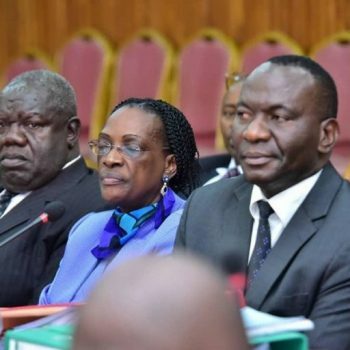 Kasekende dismissed the documents as fake but Abdu Katuntu, the COSASE chairperson deferred the matter to a sub committee. Asked for documentation, she said the thieves broke into her office and stole the documents. The committee will meet again tomorrow for further investigations.